Photo credit: BostonTweetUp. Taken at Boston CreativeMornings with Darin Hager. Photo credit: BostonTweetUp. Taken at 7th Annual MITX Technology Awards June 2 2010. Are you ready for your event? Did you follow the planning steps and tips for what you should do before the event begins? Now that you’ve done everything to prepare and for your event (getting sponsors, suppliers, partners, speakers etc) by following the previous networking tips, you can now learn how to network during an event, both online and offline. As the event organizer you are responsible for making sure everything is on track and is running smoothly. So to make things easier on you, these tips will guide you on how to network, even while you’re in the midst of organizing and running the event. This will be one less thing you will have to worry about. Leverage the hashtag that was created for the event and share new event info, event setup photos, people in line, etc so that people following you and/or the event hashtag are up to date on all the event details. Encourage others to Tweet about the event by showcasing their tweets using apps like Visual Tweets . Photo credit: BostonTweetUp. Taken at Yaddapalooza May 27, 2010. Arrive early to the venue so that you can set up and prepare for the event, but more importantly take pictures of everything. Prepare any foods or displays you may have for the event. Include names on these displays especially name the food, this isn’t often done but it will make your attendees happy in particular those that have eating restrictions. Be present at the doors at the time of arrival. This way you can meet and greet everyone who is attending the event and you can start to build relationships right away. Have business cards ready to pass out. Who knows, someone might want you to plan their next event for them. 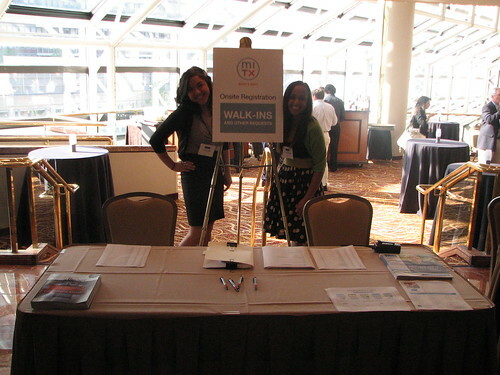 Leverage local college interns to take pictures of the event to post on your blog or online profile. 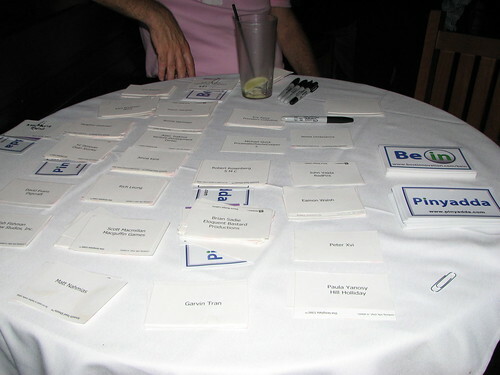 This way people can see what you have done for previous events and can consider you for their next event organizer. So now that you know how to effectively network during any event, you have one less thing to worry about. If you want to know how you can continue to network after an event, stay tuned in for next weeks post. Until then, make sure to leave your comments and thoughts as always.